Being a member of a dreadful 49ers team has not prevented Carlos Hyde from being a productive fantasy asset. Though an arbitrary measurement, he’s one of eight running backs since 1970 to average over 4 yards per carry in each of his first three seasons (min. 80 carries per season). Others include Herschel Walker, Thurman Thomas, Fred Taylor, DeAngelo Williams, and Jonathan Stewart. For San Francisco, there’s nowhere to go but up. 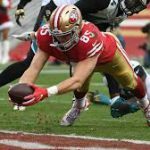 If the 49ers become more competitive, Hyde could vault himself into a weekly RB1 lock. 2016 was Pierre Garcon‘s best season since his 181 target outlier season in 2013. On 3 more targets than 2015, Garcon improved his Y/R by nearly 2 1/2 yards and increased his catch percentage by almost 5%. Garcon enters free agency as one of the best available receivers. Regardless of where he signs this off-season, Garcon has re-established himself as a fantasy relevant player and someone I’d offer a 1 or 2 year RSO contract. Cole Beasley quietly finished the 2016 season as the #33 WR in PPR scoring, according to ESPN Scoring Leaders. 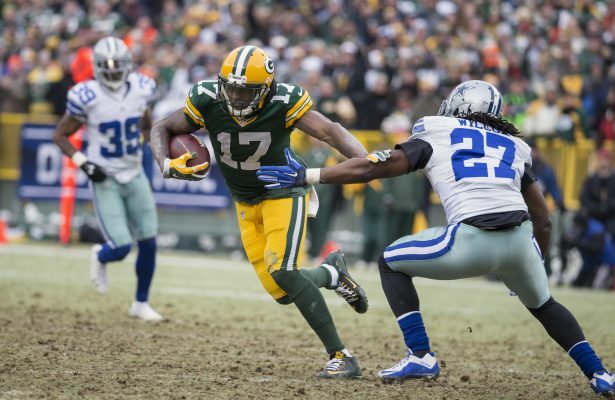 With a career-best and team-high 98 targets, Beasley‘s role expanded from valuable role player to the team’s #2 WR. In my opinion, there’s no reason to expect his role to diminish as he enters his age-28 season because Dallas has many needs to address on the defensive side of the ball this off-season. While Perriman‘s dynasty value is at an all-time low, his 2016 season encouraged his owners as he was able to suit up for all 16 games. Playing third and sometimes fourth banana in Baltimore, Perriman finished 2016 with 499 yards. The yardage may not seem impressive, but Perriman flashed his upside with several big plays. Let’s not forget he ran a 4.24 at the 2015 NFL Combine. His potential remains the same as when he was drafted. Sure we have more awareness of his injury history, but I consider this to be a great time to buy Perriman. He should enter next season as one of Baltimore’s best options in the passing game and can hopefully take that next step after participating fully in OTAs and training camp. With plenty of opportunity on an Eagles team dearth of receivers, Green-Beckham failed to earn a prominent role in Doug Pederson’s offense. This is best exemplified by his 13% target share in the 15 games he played last season. Green-Beckham‘s yards per reception plummeted from 17.2 to 10.9 after failing to show much route versatility besides the slants he so frequently ran. Among 2nd-year receivers with 70+ targets, Dorial Green-Beckham has the 9th lowest Yards/Target since 1970. As the Eagles look to bolster Carson Wentz‘ supporting cast, DGB is no lock for a prominent role in 2017. The past three NFL draft classes have supplied with the league with a great crop of talented, young quarterbacks. These quarterbacks include Blake Bortles, Teddy Bridgewater, Derek Carr, Jameis Winston, Marcus Mariota, Trevor Siemian, Jared Goff, Carson Wentz, Paxton Lynch, and Dak Prescott. From a keeper and dynasty football standpoint, I often advocate investing in proven veterans because of their reasonable cost of acquisition. That said, rebuilding teams or those in two quarterback or superflex leagues may want to attach themselves to the next Cam Newton, Andrew Luck, or Russell Wilson. For those folks, I’m here to help as I’ve ranked these quarterbacks in terms of fantasy value for the next three seasons. Derek Carr – He has already become a borderline top 10 fantasy quarterback in his third season. With Amari Cooper, Michael Crabtree, and one of the best offensive lines in the NFL, Oakland’s building a great team around Carr. Jameis Winston – He has all the physical tools and has shown why Tampa Bay selected him first overall in 2015. Though he ranked 34th of 37 quarterbacks in terms of accuracy percentage in 2015 according to Pro Football Focus, Winston has shown plenty of promise in his first two seasons and is paired with the best young WR besides Odell Beckham Jr. in Mike Evans. Carson Wentz – He’s quickly becoming the breakout star of 2016. Expected to remain on the sidelines until 2017, Wentz was named the starter immediately following the Sam Bradford trade. Many expected that he wouldn’t be ready after missing most of the preseason with a rib injury. Instead of running a conservative scheme and attempting to hide their QB while he develops, Pederson has put a lot of trust in Wentz – best exemplified by the Eagles opening drive Week 2 against the Bears on Monday Night Football where Wentz opened the game, play after play, in an empty back set. His weapons don’t compare to Carr, Winston, or Bortles, but Jordan Matthews, Zach Ertz, Dorial Green-Beckham, and Nelson Agholor have potential to develop into reliable targets. Blake Bortles – Coming into this year, we knew Blake Bortles’ remarkable 2015 season was largely aided by negative game-script. However, that may not go away anytime soon. The Jaguars should continue to struggle and fall behind as their defense has not improved as quickly as some may have hoped. Receivers Allen Robinson and Allen Hurns will make Bortles’ at least a high end QB2 each of the next three years, but Bortles makes far too many mistakes, hasn’t shown much growth in year 3, and likely is a better fantasy QB than NFL QB. Marcus Mariota – There’s no denying Mariota has disappointed in 2016. The Titans have the worst WRs in the AFC and recently demoted free-agent signee Rishard Matthews for 35 year-old Andre Johnson. Mike Mularkey’s “Exotic Smashmouth” scheme has lacked creativity and seems focused on protecting Mariota rather than developing him. I’m still a fan of Mariota, but definitely would be concerned as a Mariota owner. Jared Goff – There’s so much unknown surrounding Jared Goff. It’s very curious that he couldn’t beat out Case Keenum or Sean Mannion in training camp. Even when he’s eventually handed the reigns, Goff will join the least creative offense in the NFL that is currently struggling to get the most out of star RB Todd Gurley. LA has the worst pass catching options in the NFL, led by gadget player Tavon Austin. There are many reasons Goff was considered the top prospect in the NFL draft by many, but I’ve cooled on him since the April draft. Paxton Lynch – Considered more of a project than Goff or Wentz, Paxton Lynch has played fairly well in limited action. He has excellent physical tools and is built to run Gary Kubiak’s offense. Like Wentz, his running ability should aide his fantasy value, potentially making him a top five fantasy QB during his best seasons. Dak Prescott – Through four games, Dak Prescott looks like he belongs. With no turnovers through four games, Prescott has kept the Cowboys afloat without veteran QB Tony Romo. He may lack the ceiling as a passer of Carr, Winston, and Wentz, but has showcased his abilities enough to be considered a potential long-term starter in the NFL and likely the Cowboys QB in 2017. The Dallas offensive line and presence of a healthy Dez Bryant could make Prescott a high end QB2 by the end of 2016, assuming Romo doesn’t return. Teddy Bridgewater – Coming into 2016, I was very down on Teddy Bridgewater and even sold him for Tavon Austin in one of my dynasty leagues. Let’s not forget that the Vikings ranked 31st in passing yards in 2015 and 25th in yards per attempt according to Pro-Football-Reference. I don’t love his arm strength, especially in the NFC North where he’ll have to play outdoors in Green Bay and Chicago. Depending on how the 2016 Vikings season ends, Sam Bradford may not have to give back the starting QB job when Bridgewater returns. Trevor Siemian – He likely isn’t a long-term long-term NFL starter, but is showing he belongs at least as a backup in the NFL. He has lesser physical abilities than fellow Broncos QB Paxton Lynch and likely is on a short-leash, but has impressed enough this season to warrant being on the radar of fantasy owners. I want to hear from you! Which players ranking do you agree or disagree with most? Let me know on Twitter @DaveSanders_RSO! In a trade that changes the direction of two NFL franchises, the Philadelphia Eagles and Minnesota Vikings agreed to a blockbuster deal on the morning of Saturday, September 3rd. It had been clear for months that Sam Bradford‘s days in Philadelphia were numbered, but there wasn’t a market for him after QB-needy teams made other plans during the 2016 NFL Draft. That all changed when the Vikings promising QB Teddy Bridgewater suffered a devastating injury that will cause him to miss at least the 2016 season. Acquiring Bradford keeps Minnesota’s 2016 hopes alive as they fancy themselves a Super Bowl competitor. This move also clears the way for Philadelphia to hand the reigns over to rookie QB Carson Wentz. With these two teams changing starting quarterbacks, the fantasy values of other skill position players in each offense will be impacted. Carson Wentz slots in as my #21 QB in redraft leagues. His ability to extend plays in the pocket and execute read-option plays should make him relevant during his rookie a season as a possible streamer. Long-term, he’s my favorite quarterback of the 2016 class and seems to be way ahead of Rams #1 overall pick Jared Goff. The Eagles running game, and most importantly Ryan Mathews, should be largely unaffected by this move. I’m very high on Mathews in 2016 as he’s my #12 RB in redraft. He should see plenty of carries behind the 7th best offensive line according to Pro Football Focus. 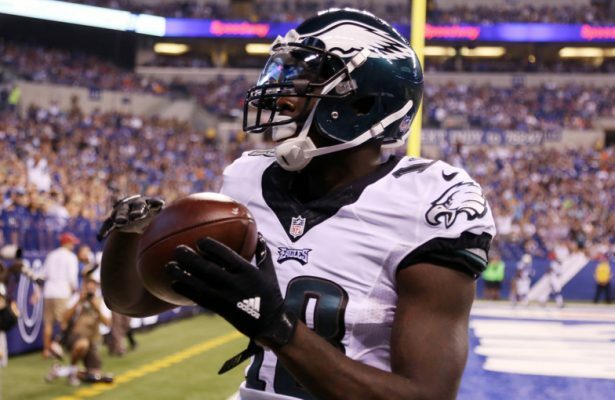 Jordan Matthews & Dorial Green-Beckham are the only receivers worth considering in fantasy. I’m lower on Matthews than most, but can’t deny that he’ll have plenty of opportunities. DGB could be a contributor as a reserve wide receiver in fantasy that fills in during bye weeks and gives you a chance at a TD every week. After a poor preseason, Nelson Agholor should be left on waivers in all but the deepest of leagues. Contrary to the popular narrative, tight ends actually do not see an increased target share with rookie QBs according to an excellent study by TJ Hernandez. That said, Zach Ertz remains a top 8 TE in 2016. Sam Bradford joins a Minnesota Vikings team that features better skill position talent than the Eagles. His value receives a slight boost from this trade, but he’s still not a top 20 QB in 2016. Adrian Peterson‘s value returned to where it was several weeks ago, before the injury to Bridgewater. I’m concerned about his age and lack of involvement on 3rd downs. I’d rather be out one year too early than one year too late so he won’t be on any of my rosters this year. If you’re more optimistic, this trade should benefit Peterson as he would have likely seen many more eight man boxes if Shaun Hill was the QB. Vikings pass catchers could be a bit more productive with Bradford than they may have even been with Bridgewater. 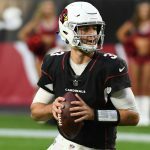 Let’s not forget that Bradford finished 2015 playing his best football in a long time, while Bridgewater has only thrown for 14 passing touchdowns in each of the last two years. In redraft, Stefon Diggs is the only WR worth rostering. He’s my #38 wide receiver. Laquon Treadwell projects to be better in the long run, but it may be some time before he contributes in a meaningful way. While this trade doesn’t have major fantasy implications, fantasy leagues are often won by the smallest of margins. Garnering a very slight edge in trades and free agent acquisitions repeatedly is how great teams are built and RSO dynasties are formed. Let me know how you think the Bradford trade will impact the Eagles and Vikings by reaching out to me on Twitter @DaveSanders_RSO! It’s hard to believe it, but training camp is upon us. While some of you may have already had your Reality Sports Online rookie drafts, a ton of offseason trades, or both, others may just be picking up serious activity. Either way, we all collectively can’t wait to watch the Houston Texans on Hard Knocks and for kickoff in September. Before that happens, though, there are some major storylines that will unfold in training camp that will help us determine how to tackle our Free Agency Auctions. I’ll skip over Russell Wilson’s contract signing for the most part and similar storylines. Basically the upshot with Wilson is this-now that it is reported he is in Seattle another 4 years, he’ll command big money in leagues where rushing is rewarded heavily and where turnovers are punished significantly (like my main league where turnovers are a negative 5 fantasy points). Moving on, so let’s jump into other topics now. Demarco Murray made it look easy last season in racking up 1,845 rushing yards and 13 touchdowns and a career-high 57 receptions behind Pro Football Focus’ top-ranked offensive line. Then the Cowboys decided that Murray was expendable and he went to their division rival Philadelphia Eagles. While many in fantasy circles are holding Joseph Randle in the highest regard based on being the best of a bunch of middling options, only training camp will tell whether Randle can be the bell-cow that Murray was behind that beastly O-Line. Those who want to extrapolate his 6.7 yards per carry on 51 totes for 343 yards and three touchdowns could be left holding the bag on an inflated Reality Sports Online contract if they aren’t careful, especially in PPR leagues. Randle only had 4 catches for 23 yards and offensive coordinator Scott Linehan has made a living turning running backs like Moe Williams into serious PPR threats, which seems to indicate that Randle’s ceiling is lower than you’d think. Also take into account that Randle broke more than 10 runs over 10 yards (mostly in games the Cowboys were beating their opponents handily) and had some police blotter last season and you’ll gladly let someone else speculate on him. If you have to have him, keep him under $8.0 million a year annually and avoid a 3-4 year deal at all costs. However, Randle’s best competition may not even be on the roster yet, especially if the team gives someone like Ray Rice, Ahmad Bradshaw, or even Chris Johnson (just a saw a rumor that he’s in contact with the team) a chance at winning the job. Based on the injury history of Darren McFadden, your best bet on capitalizing on the high-octane Cowboys offense in the backfield is Lance Dunbar. I know, I know you say, Goodwin you were high on him last year and I listened to you and now am stuck with Dunbar for another two years. Well, your patience may be rewarded this year. It isn’t hard to envision a Darren Sproles type role for Dunbar this year, especially in the passing game . I wouldn’t be betting much on him-a one year deal (Dunbar’s a free agent in 2016) at around $2.0 million feels right. Well, in terms of guys who may be available who aren’t on multi-year deals, you’ll probably be starting with choosing among the QB Class of 2004-Eli Manning (1.2 years, $2.4 million average), Philip Rivers (1.6 years, $4.4 million average), and Ben Roethlisberger (1.4 year, $2.6 million average). All three play in offenses that are ramping up their weapons and are significant bargains. Keep in mind if most of your league has the quarterback position taken care of, don’t bid against yourself. I personally like Eli the most based on his star wideout Odell Beckham Jr. and getting Shane Vereen as a legitimate pass catching option out of the backfield, along with the hopeful return of Victor Cruz. Considering he’s in a division with some of the shakiest secondaries in the league, assume Eli will air it out and that he’s a bargain. If you’re looking for someone not on this list, Ryan Tannehill (1.6 years, $2.2m million average) is on the younger side and someone you may be more willing to sign long-term. His receiving corps had a complete makeover in the 2015 offseason and draft as I alluded to in Marketwatch 2015: Stock Up/Down and the Dolphins signal-caller still remains under the radar as the signal-caller in Bill Lazor’s offense. 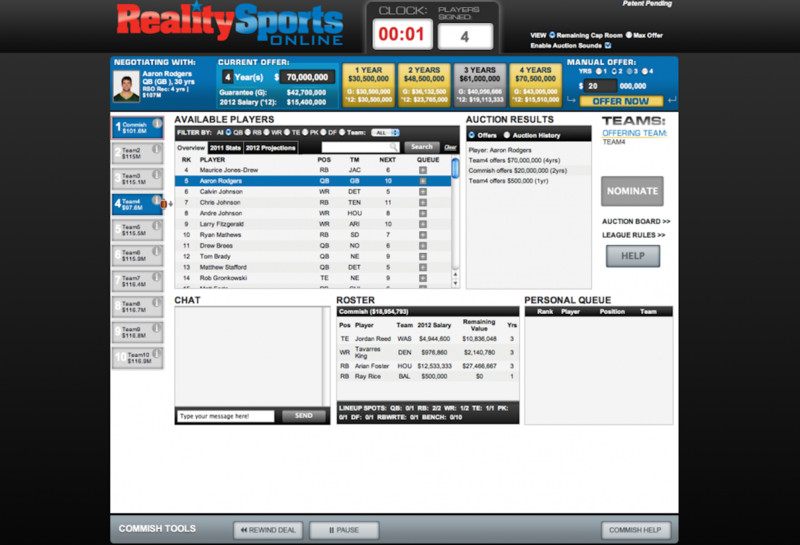 Reality Sports Online is every bit the developmental league, especially if your rookie draft goes deeper than two rounds. So players like Jeff Janis may not be under-the-radar. Others may have fallen off your map, but still have a semblance of an opportunity if things go right. I’m not going to pick one guy who may be the guy who comes out of nowhere and becomes the next Marvin Jones from 2013 but definitely look at the requisite prototype for players who can put up stats for you. A few people worth the late-auction flyer (especially if you have a multi-year contract to use late on the cheap) include Aaron Dobson (he’s reportedly finally healthy from various foot injuries and has the frame and speed to be the #3 WR on the Patriots), Marlon Brown, Theo Riddick (notice the third down back theme in this article),and Leonard Hankerson are my biggest take a flyer guys. Heck, even Jones himself can be the next Jones (again) if he returns successfully from an injury. Peyton Manning has an excellent track record in turning tight ends into touchdown catching machines. Julius Thomas certainly benefitted from this, as did some of Manning’s ex-Colts teammates. The question entering training camp is whether free-agent signing Owen Daniels or young upstart Virgil Green will be the tight end apple of Peyton’s eye. While Green was the recipient of a nice 3 year, $8.4 million contract for his past accolades as a blocker, the team envisioned some upside in the passing game based on Green’s athleticism when the re-inked him. The 6’5, 255 lb Green is a specimen, but beware his 23 career catches, especially with Daniels in town. Daniels was fairly productive and has followed head coach Gary Kubiak twice now (first to Baltimore last season) and now to Denver. Based on his track record, look for Daniels to be the one finding the end zone at least six times, assuming he stays healthy. However, take note of Green’s potential upside and if you can get him on a good deal, take advantage because Green’s been putting in work at Duke with Manning and will be on the field plenty based on his blocking ability on a team that is said to be more run-oriented this year. Dorial Green-Beckham is certainly one of the most polarizing players in your rookie draft. He has boatloads of talent and the size and speed that offensive coordinators salivate over, even if he’s not the best route runner. He was compared to Randy Moss several times in articles such as this one this offseason and much like Moss, he comes into his rookie season with a checkered past and a desire to prove the teams that passed him over wrong. With an average draft position of the 10.5th pick in the first round of RSO rookie drafts, Green-Beckham represents significant upside and of course downside based on his character. One has to think that early on Green-Beckham will be on his best behavior and quarterback Marcus Mariota will be a positive influence on the wideout as well. Stay tuned to news out of training camp on how Green-Beckham is coming along from a route running perspective and that he’s overcome his mini-camp hamstring injury. Early word is that the team doesn’t want to “over-rep” him in training camp. As someone born in Cleveland, it is hard to get too excited about anything Browns related. However, the team invested heavily on the defense in the draft by adding run-stuffer Danny Shelton in the first round and pass-rusher extraordinaire in Nate Orchard, who led the NCAA’s in sacks per game in 2015. Taking into account a very strong secondary already, the team should improve significantly from the worst ranked rush defense last season in a division where teams love to run the rock. 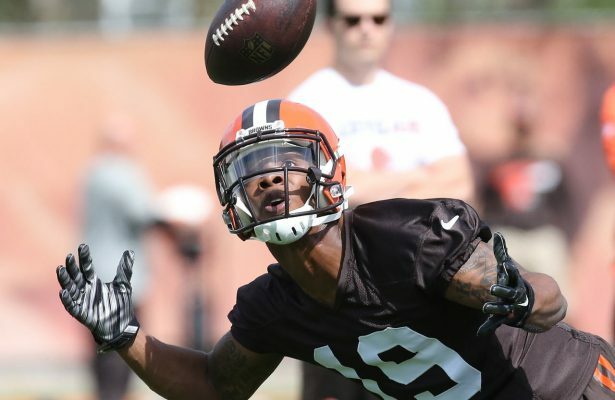 While the weak offense may keep putting the defense on the field, expect plenty of impact fantasy plays from Joe Haden and company this season from a fantasy perspective. New Chicago Bears coach John Fox is notorious for bringing rookie wide receivers along slowly. First round pick Kevin White is coming off RSO draft boards around the 4th pick in the rookie draft. However, when you take into account Cody Latimer’s four-catch 2014 for Fox’s Broncos last season and the fact that in interviews Fox couldn’t even recall whether a rookie wideout has ever started for him, you have to figure that even if White does start, he will be brought along slowly. It certainly doesn’t help matters than White’s shin injury has landed him on the PUP list for the start of training camp. Considering that one of the league’s most targeted wide receivers, Alshon Jeffery, starts on one side and that quarterback Jay Cutler typically only has eyes for one or two receivers, the number of targets available for White after Jeffery, Matt Forte, Martellus Bennett and even slot receiver Eddie Royal get theirs may amount to crumbs, not a meal. As a result, my 2015 outlook on White is fairly guarded, especially considering the high draft capital required to nab him in your drafts. Obviously last year’s rookie crop of wide receivers was one of the best in NFL history from a production standpoint. That even takes into account the injury to Brandin Cooks and limited production in a non-quarterback friendly environment for Sammy Watkins. That doesn’t mean that the rookie stars from last season are resting on their laurels. 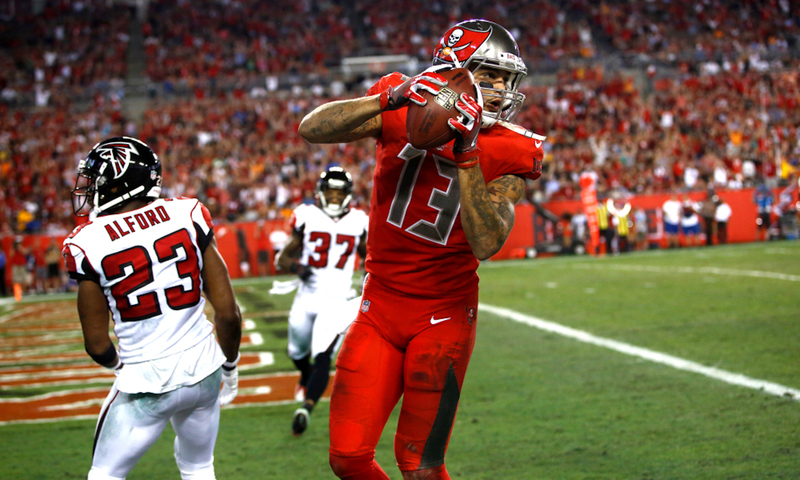 Mike Evans has been working in the offseason on his craft with the aforementioned Moss. Evans, who had 12 touchdowns and 1,051 receiving yards as the Z-Receiver with a limited route tree last season, now moves to the X receiver under new offensive guru Dirk Koetter, who groomed Julio Jones into one of the league’s best. The prospect of the kid gloves coming off of Evans, even with a rookie quarterback, is super enticing, especially since he’s still working out with Moss. 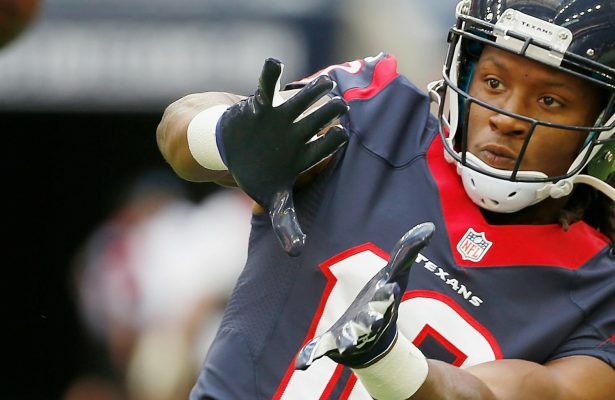 From the third year receiver crop and now that all-time leading Houston Texans wide receiver Andre Johnson is playing for the division rival Colts, DeAndre Hopkins figures to be the third-year receiver who will fully emerge into an NFL superstar. 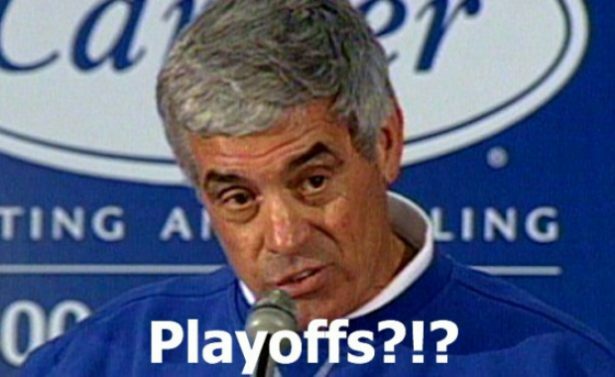 Who Starts At Quarterback in Philly? In one of the more intriguing battles (especially to RSO founders Matt Papson and Stephen Wendell), Chip Kelly and the Philadelphia Eagles have an interesting quarterback competition. The team paid for a study to see how likely Sam Bradford was to re-injure himself and concluded those chances were low and traded Nick Foles for him. However, last year’s starter at the end of the season, Mark Sanchez, was fairly productive and the team invested a first rounder in rookie wideout Nelson Agholor, who has received rave reviews and figures to start right away, to replace the departed Jeremy Maclin. The team also reinvented their running game with Murray and Ryan Mathews. It’ll be interesting to see who will win the quarterback battle here, because whoever does has immediately value and when it comes to Reality Sports Online, you’re all about value. That’ll do it for now and I hope you enjoy reading these as much as I enjoy writing these articles. Feel free to contact me with any questions/feedback you may have on Twitter at @mattgoody2. 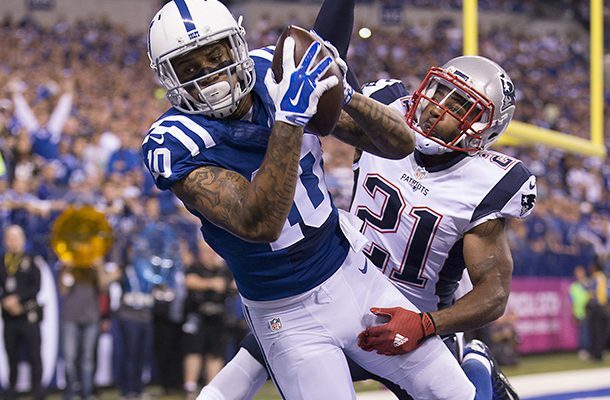 What’s a Rookie Draft Pick Worth? I love mid 90’s hip-hop. Admittedly, this does date me a little bit. From groups like A Tribe Called Quest, De La Soul, and The Roots to artists like Nas and Ice Cube, I sometimes long for hip-hop to return to the witty lyrics that drew me to it. In that timeframe, many rappers seemed to have at least one lyric in their repertoire about “Making a dollar out of fifteen cents”. After much thought and seeing several rookie draft trades for Reality Sports Online leagues being tweeted on Twitter and a few in my own leagues, I’m after the holy grail of figuring out what a rookie draft pick is worth, trying to turn my fifteen cents into a dollar. I think the answer really is “it depends”. However, let’s dig deeper as the value of rookie draft picks really depends on your team situation and some other pivotal factors. For those owners who are sitting at the top of their rookie drafts (top three picks) either due to trades or a season that didn’t go as planned last year, these high draft picks are invaluable. Basically it is your way of choosing your groceries in a setting where nobody else gets a crack at these guys. On the contrary, in the Free Agent Auction, the only thing precluding a team from bidding on certain players is cap space. If you are sitting atop this perch heading into your 2015 Rookie Draft, guys like Amari Cooper, Melvin Gordon, and Todd Gurley should be atop your lists. If you are luke-warm on players like this, certainly don’t act that way. You want to hit a home run at the top of your rookie draft and get a star on a 3 or 4 year deal on the cheap that is the foundation for your future success. Aren’t convinced that you can trust Cooper on the Raiders or that Gurley will contribute this season? Move the pick then, but don’t undersell (more on this later). 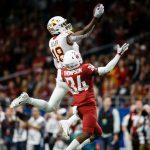 If you are sitting towards the back of the rookie draft because your team is potentially a Top 3 team in a 12 team league, unless there is a player you are super high on that you believe will make an impact this year (most important factor as championship windows don’t last long in leagues like this) and going forward, consider moving your pick to a team you don’t expect to contend. This may yield a player that will help you this season in your quest to let your championship flag fly forever. 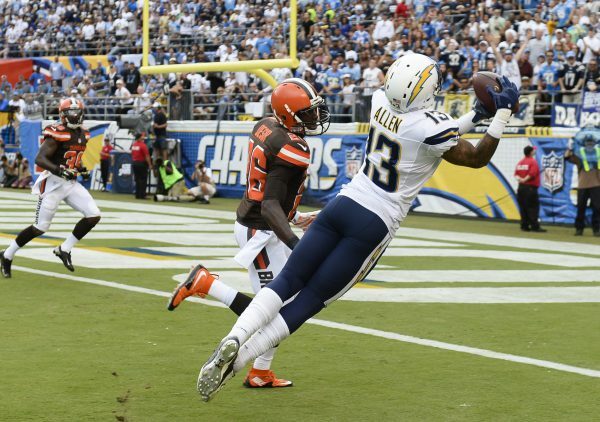 Think of a scenario like this one: what if someone offered you Keenan Allen with two years remaining at $8.0m a year for Rookie Pick 1.10. I’d take Allen in a heartbeat in this scenario as a contender, especially in a PPR league. Another idea if you are a top 3 team in expected league standings (not top 3 draft pick owner) is to package your 2015 1st rounder and your 2016 1st rounder (assuming you are confident you’ll finish high) to a team in rebuilding mode for one of their stud players. Yes, you may be sacrificing the future a bit, but if you are getting another star on a fairly-priced market deal, it is worth taking the bird in the hand for two draft picks that are essentially worse than 50-50 probability of those back of the first round rookies panning out. Think about it-if you can have someone like Antonio Brown with two years left at $18 million a year approximately and what you had to give up was 1.09 this year, 1.12 next year (let’s assume you win the championship) and Brandon Marshall, you shouldn’t blink twice on this. 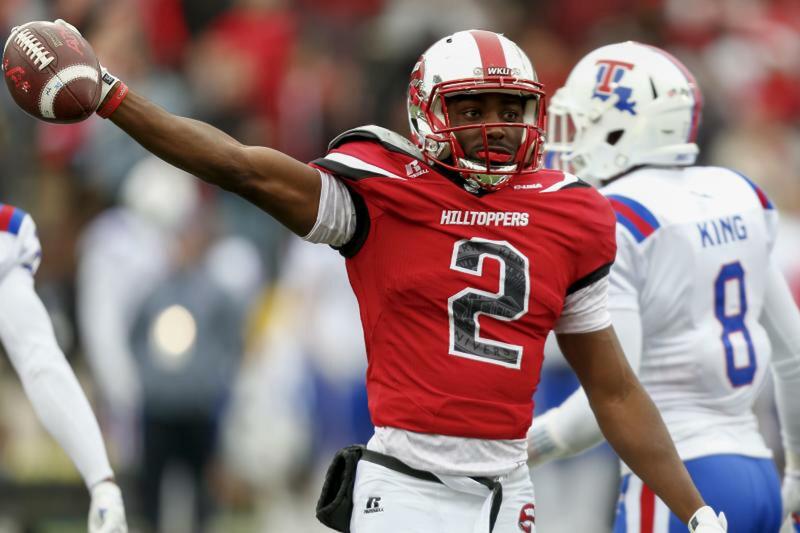 Essentially the draft pick this year, according to our own Bo Wulf’s RSO Rookie Draft Rankings, is someone like DeVante Parker. While Parker has potential, he is not a sure-fire superstar like Brown is. For more visibility into the Average Draft Position of the Reality Sports Online Rookie Draft from 2014 and currently through 2015, please see the tables following the next paragraph. Of course, don’t send this package for someone who isn’t worth it, or who constrains your ability to spend cap space in the auction. Say this same deal is available for Julio Jones, who just happens to cost $25 million a year. Then you’ll have to think more about it, realizing though that you are clearing some cap space by virtue of trading your first rounders as well. What you should notice from both years is that the top four picks from each year essentially comprise a tier. I’d agree with how the 2015 tier has been slated thus far as those four players were the highest WRs and RBs taken, which are the most valuable positions in a league like this for rookies. Beyond that first tier, the remainder of the round is filled with running backs who have training camp battles to win significant playing time, wide receivers who figure to be at best the second option on their teams this season, and guys like Green-Beckham and Jameis Winston who have character concerns. 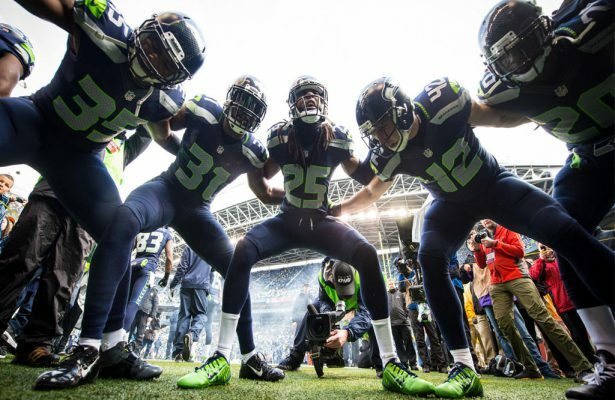 So, if you are picking past pick four (which may have worked well in 2014 as you can see), you may want to either trade up, trade down, or pay attention to some other strategies noted in this article. In the third year of Doug Martin on a huge deal and having buyer’s remorse? Probability is that your team may also own a top three pick too based on the lack of cap flexibility you may have by owning Martin and frankly how disappointing the player you once viewed as your lynchpin has been. If this is you, move your high rookie pick and Doug Martin to another rebuilding team or interested party. Try to get something in return for it, but know that you can also make this deal now in Reality Sports Online leagues for nothing in return. Yes, the beauty of a league like this is that cap space is an asset, and a huge one at that. So in other words, congrats, you just saved yourself $30 million to spend in your upcoming auction. Yes, you lost out on a rookie draft pick that might turn into a stud and dumping Martin for essentially no player in return is admitting a mistake you made a few years ago (don’t worry you’ll get over it quickly). However, a star free-agent is already proven so you are paying for certainty here. 3. How Many Years Are Your Rookie Deals? I’m in two separate Reality Sports Online leagues and one has 4 year rookie deals and the other has 3 year rookie deals (my writer’s league). In the writer’s league last season, I picked Carlos Hyde in our Year 1 Rookie Draft at 1.06 of a 10 team league. While I was pretty sure Hyde would be the guy in San Francisco last season, I moved him at the trade deadline last year for C.J. Anderson and what turned into 1.01 of the 2015 Rookie Draft. The point is, I had already lost a season of Hyde not being productive and with only two seasons to go of Hyde, I decided that my mentality is way different in my league where rookie deals are 3 years instead of 4. This is all part of building your rookie draft strategy based on your league dynamics. In the 3 year rookie drafts, I encourage you to trade up if there is a player you like and get the guy you think is going to contribute from the get go. In 4 year rookie drafts, you can be a little more patient. So while I love a guy like Gurley as perhaps the next Marshawn Lynch, I want the clean bill of health before the season if I’m picking him in the top three because my team is in contention now and I can’t afford to wait until the midseason to contribute if the Rams bring him along slowly from his ACL injury. This also means that is you are in the middle of the first round in a 10 or 12 team league, trading down may yield a player that is the same as the guess you would be making with that pick. Basically, not everyone is going to be this year’s Jeremy Hill. Unless you are in a massively sized league, the first pick of the second round is the best value in the rookie draft and it isn’t close. 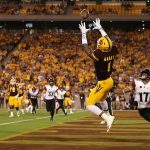 Since the Reality Sports Online rookie draft is based on the NFL wage scale, you are getting millions of dollars of discount from the end of the first round to the beginning of the second in a traditional 10 to 12 team league. In a 10 team league the 2015 salary in a 4 year rookie deal league for pick 2.01 is $1.3 million compared to 1.10’s value of $3.2 million and that differential basically extends for another three years. So the thought is once the known rookie starters are gone, you are taking a chance on your pick anyways. Essentially you are then treating these rookies as commodities, and a guy like Duke Johnson isn’t materially different to you than Ameer Abdullah. The difference is Johnson can totally flame out at $1.3 million a year and you’d live with it much easier than if Abdullah busted at $3.2 million. Basically, buy low at 2.01. 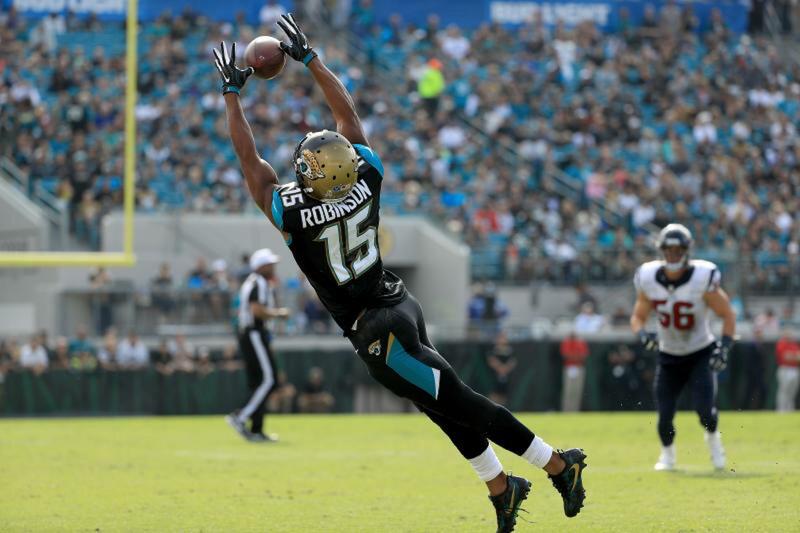 Those who did that with a player like Allen Robinson in the 2014 Rookie Draft may have the last laugh this season. 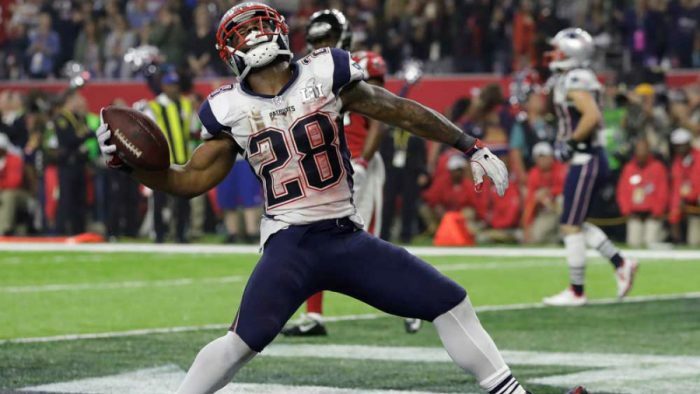 If seven of the top ten scoring running backs are heading into free agency this year in your league, suffice to say you may be more excited about the prospect of Arian Foster wearing your team colors than T.J. Yeldon. Plan your strategy with that in mind, especially if you have the luxury of having significant cap space to chase these free agents. Then, if you hold onto your rookie draft pick, perhaps take a wide receiver (generally to me the ones with the highest success rate that you want on long-term deals) in the first round and grab your running back in free agency. While I’d like to think that the owners in your league (and mine) will stick around forever, the reality is that owners turn over in leagues. If you are in leagues where owners are trading future year rookie draft picks (like 2016) now, make them put some “skin in the game” for doing so to ensure the future continuity of your league. Figure out what that means to your league whether it be website fees, league dues, etc. The last thing you want is an owner who in their head is already gone from your league the following season causing their replacement owner to inherit a mess by trading future rookie draft picks. From these examples above, you can see that this owner (and the owner he made two trades with) did a little bit of draft pick accumulation and salary dumps all in two deals. Clearly the team that traded Thomas and obtained 2015 Rookie Draft Picks 1.03 and 1.04 and took on Martin’s huge salary is in rebuild mode. He may cut Martin and recoup 50% of his salary for 2015 and 2016, but there is no rush to do that until right before the rookie draft if he doesn’t try to move Martin in another trade. The one owner who has made these trades did get rid of Beckham Jr. who is on a hugely cheap contract, but netting Cooks and Rookie Draft pick 1.01 in the deal gives him the ability to choose who he wants atop the draft. He salary dumped Martin for a more productive player and got a top receiving option in Thomas while not taking on huge commitments in Hunter and Wright. And by the way, that owner still has four 2015 first rounders, 1.01, 1.05, 1.06, and 1.07 (which puts me a little on edge as I have 1.08). This certainly means this owner has lots of flexibility heading into both the rookie draft and the auction to get impact players. What do you think of these deals? I’d be curious to know. @mattgoody2 @RealitySportsOn A week after our startup auction/draft, was offered Kevin White + 1st for Amari Cooper + 2nd, and I took it. Tim Breemersch took advantage of the fact that there was a huge Raiders fan in his league and after picking Amari Cooper at 1.02 in his rookie draft, was offered Kevin White (drafted at 1.04) plus a 2016 1st rounder for Cooper and a 2016 2nd rounder. That’s a good way to appropriate value as both receivers are projected to be among the best at their position as rookies. 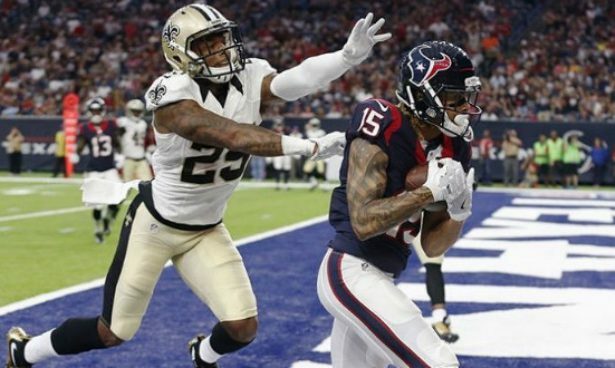 Others like Chris Cangialosi made his draft pick trade at last year’s deadline, sending Mark Ingram on a one-year deal to a contender for the rights to a 2015 first rounder which turned into Rookie Draft pick 1.10. 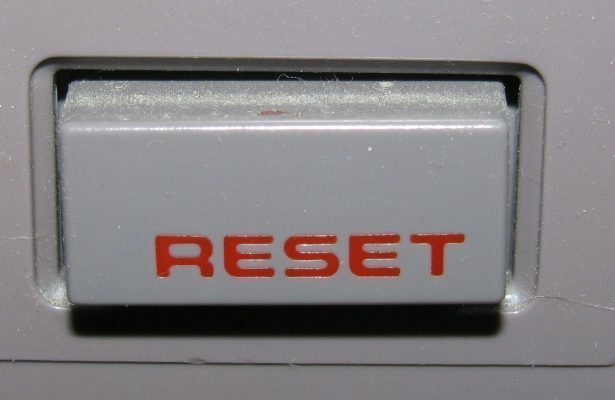 Echoing De La Soul’s: Buhloone Mindstate, which had the theme of “We might blow up, but we won’t go pop,”, come up with a strategy for your rookie draft and stick with it based on whether you think your team is in rebuild mode, top three mode, or somewhere in between. Don’t get so obsessed with these rookie picks that it clouds your ability to nab an established player that will help your team more or an opportunity to dump 100% of a cap-killer to afford you the ability to take many different paths in the auction.